In September, fundamental changes to Part L of the Building Regulations were published. Among the changes, any new boiler – subject to a couple of exceptions – installed on or after the 1st October 2010 has to achieve an efficiency rating equivalent to SEDBUK 2005 Band A, with a minimum efficiency of 90 per cent. Previously, SEDBUK 2005 Band B boilers could be installed alongside the more energy efficient models. Paul Haynes, Head of Product Management at Baxi Group UK, has claimed that the changes offer an excellent opportunity to installers. 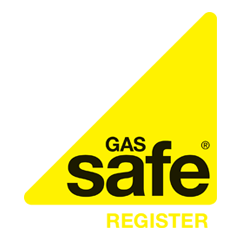 Mr Haynes said: “When the Building Regulations, Part L, changed in 2005, installers suddenly found that they had to retrain to be able to fit, service and maintain condensing boilers. From October 2010, only Band A boilers can be installed – and they will already be familiar with the technology”. Mr Haynes continued: “This means they can only fit the highest efficiency boilers, which is good news for their customers, who will be able to save up to £235 on annual fuel bills and good news for the environment”. Improving the efficiency of central heating boilers in the UK remains a prime objective for the Government, which is duty-bound to reduce carbon emissions by 2020. Substantial carbon savings can be made by replacing old energy inefficient boilers with those that are at least equivalent to SEDBUK 2005 Band A. On this note, it is worth noting that, under the changes to Part L of the Building Regulations, the SEDBUK Bands A and B have been dropped in favour of percentile efficiency ratings (90 per cent on the SEDBUK 2005 list or 88 per cent on the SEDBUK 2009 list). Whether the changes to Part L of the Building Regulations can make a significant impact on the work of installers remains to be seen. In respect to energy efficiency and fuel saving, however, the changes are likely to make a difference over the next decade. The possibility of saving up to £235 every year on fuel bills could make a huge difference for the average household, whilst environmental targets are unlikely to be met without wholesale changes being made to homes in the UK.